However, before taking any steps forward in such a major project, it’s important to prepare yourself and your home, evaluating your plan. Firstly, carefully consider what home additions would be the most beneficial to your household. Perhaps you need more floorspace, so an extra room would be helpful for a large or growing family, whether it’s a bedroom, study room, bathroom, etc., or maybe you could remodel an unfinished area such as a basement or a garage. If you’d like something that could increase entertainment value, you could add or redesign a room as a media room or play room, or you could add outdoor entertainment such as a grill or patio area. For options to increase your household’s health, consider a fitness room or pool. Once you know what you would like to improve, check your financial standings. It’s a good idea to ensure that you’ll be able to finish your plan rather than leave it unfinished to become someone else’s problem. Consider various options that come at different costs and put aside the funds you’ll need. If you need a better idea of how much money you will need, call a home improvement professional and let them know what you would like so you can get an estimate. 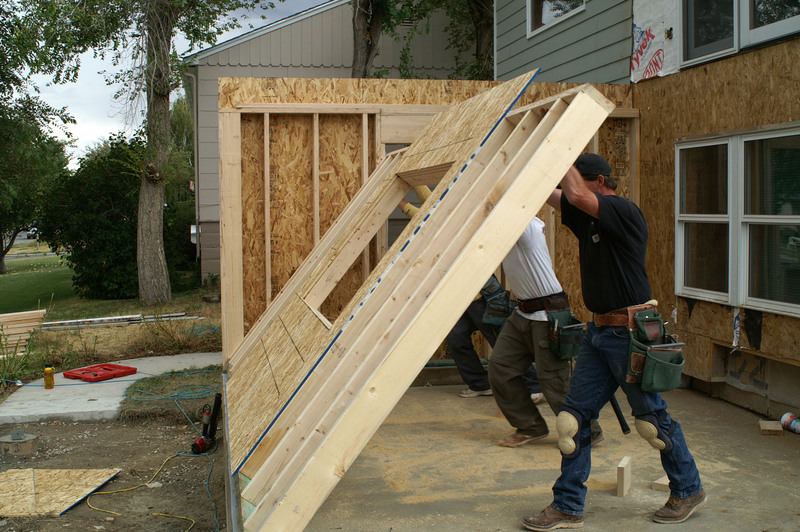 When you have an exact idea of where to go with your plans, you’re ready to take the first steps to starting your home additions. Contact a home improvement company and begin towards a better home.